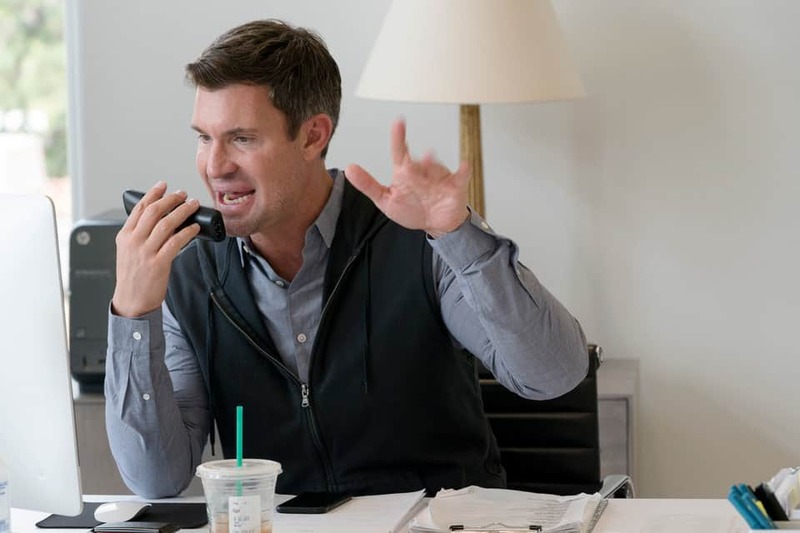 After weeks of speculation, it appears as though Jeff Lewis is officially out of a job at Bravo and his show Flipping Out has been canceled. The news comes via Jeff himself, who shared the grim news with his usual sense of humor. 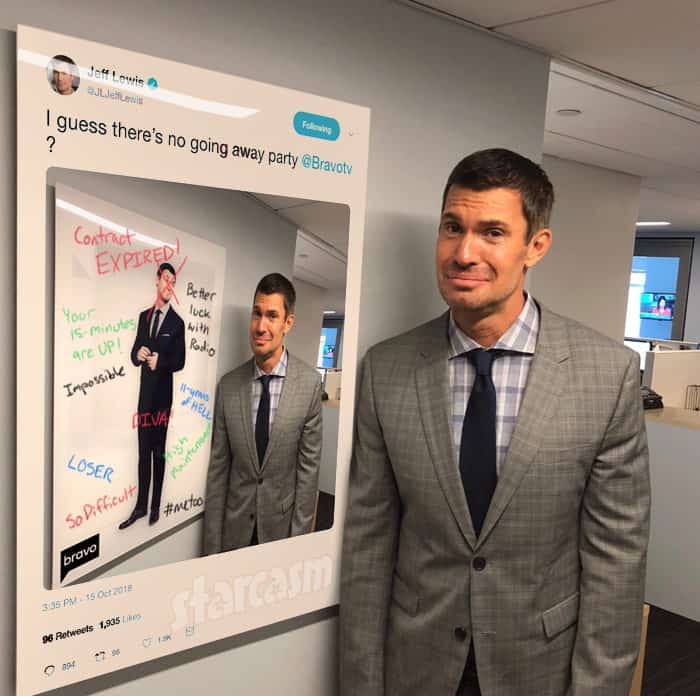 “I guess there’s no going away party @Bravotv?” he captioned a photo of himself standing by a framed picture of himself with a series of comments written on it including: “Contract EXPIRED!” “11-years of HELL,” Your 15 minutes are UP!” “Better luck with radio,” and even a #metoo hash tag. 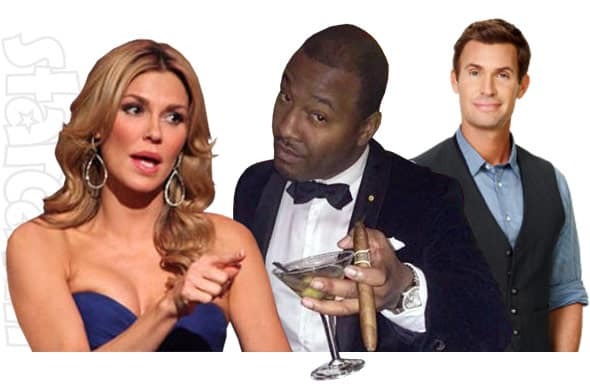 The photo also included a red X over Jeff’s face, referencing his controversial Flipping Out Season 11 announcement on social media in which he exed out his estranged co-star Jenni Pulos’ face. After an investigation, Jeff was cleared of that charge — but Jenni Pulos followed up with additional accusations of wrongful termination and creating a hostile work environment. It seemed the writing was on the wall (and Jeff’s photo) for Flipping Out as soon as Jenni was fired. “I just lost my job. I’m pretty sure of that,” Jeff added on his radio show. As if all of that wasn’t enough, Jeff was also sued by the woman who served as a surrogate for his almost two-year-old daughter Monroe with partner Gage Edward. Alexandra Trent claims, among other things, that she was filmed while in labor without permission. Jeff has shrugged off Alexandra’s claims as a “financial shakedown” and points out that she granted permission by signing the contract to appear on the show.